Describing creators as “unique voices” in the medium is probably one of those clichés that’s up there with “deceptively simple” or describing anthologies as “hit and miss” in terms of expressions that reviewers would do well to avoid entirely. 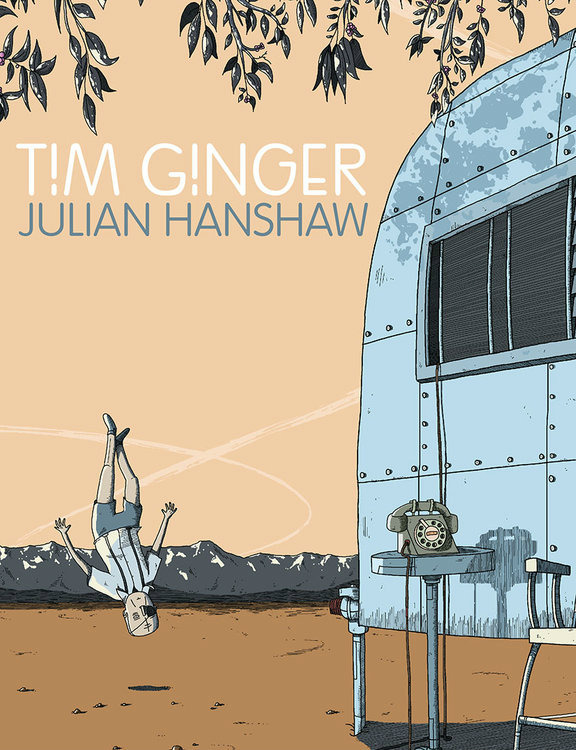 Sometimes, though, even the hoariest old standby phrase can have an inescapable descriptive validity, and if anyone deserves that label then it’s 2008 Observer/Cape/Comica Prize winner, Julian Hanshaw. Hanshaw’s idiosyncratic narratives and stunning visual world-building in his graphic novel The Art of Pho and his short story collection I’m Never Coming Back (both published by Jonathan Cape), as well as his contribution to Ravi Thornton’s HOAX Psychosis Blues, marked him out as one of the most exciting talents among the new wave of British graphic novelists emerging from the Noughties. 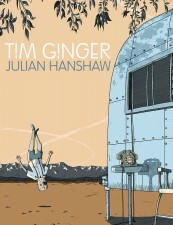 Tim Ginger is a long-awaited follow-up from a graphic novelist who has long deserved far, far greater recognition for his work. As he gears up to take his place as visiting fellow at the Centre for Cartoon Studies, there’s no stopping Noah Van Sciver. 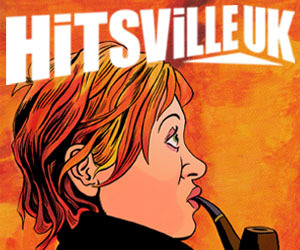 Hot on the heels of his Hic and Hoc humour book Cheer Up, Fantagraphics have collected his webcomic Fante Bukowski, which continues its author’s tradition of delivering caustic satire while still maintaining a degree of empathy for its flawed characters. Fante Bukowski is an aspiring writer making his way to literary fame and fortune, one drink at a time. Living in a cheap hotel, consorting with the downtrodden, searching for the one idea that will rocket him to success as the great American novelist and earn him the respect of his father. But, there’s just one problem: Fante Bukowski has no talent for writing. Along the way, Van Sciver skewers artistic delusion and the commercial imperative, demonstrating that the ostensibly highbrow world of literature is as full of self-interested hustlers as every other muddy ditch where people see the promise of fame and riches on the other side. After cutting her teeth on runs of Bravest Warriors (BOOM! Studios) and Edward Scissorhands (IDW), Kate Leth is bringing her unique comic sensibility to her first original series. Power Up, a collaboration with Battle Dog artist Matt Cummings, is a sugary blast of Saturday morning nostalgia reflected through a emotionally mature adult lens. Like any good first issue of a “team” book, Power Up brings together a cast of characters who seemingly have little in common. 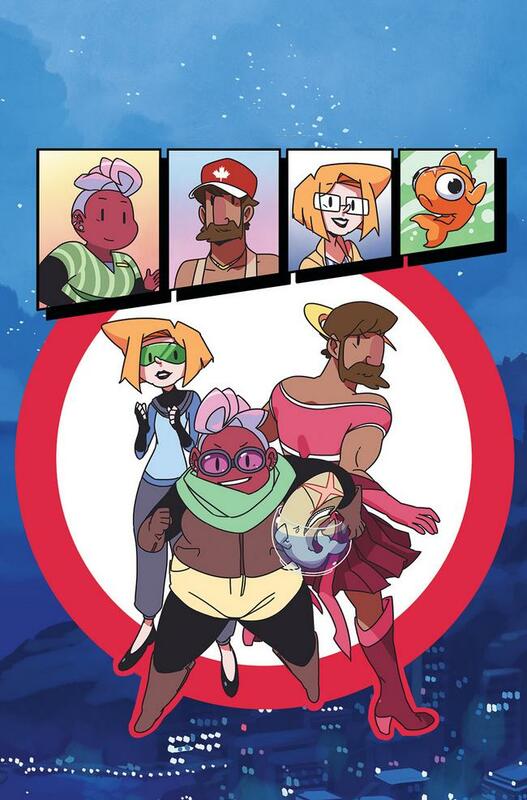 Here we meet laid-back twenty-something Amie, unassuming mom Sandy, talking goldfish Silas (hmm, interesting), and a construction worker named Kevin who stumbles upon a magical pink skirt (okay, now you’ve got my attention). Despite its offbeat protagonists and broad kid appeal, Power Up should ring true for anyone who’s struggled through a dead-end job or the sting of heartbreak. In other words, it’s well worth adding to your list this Wednesday. In what Image promises to be a meeting of fantasy, horror, and crime noir, writer Ales Kot (Zero, Material) and artist Matt Taylor (Zero) team up for an exciting new series. 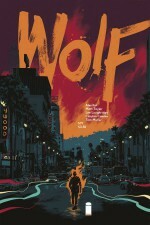 Hard-boiled paranormal detective Antoine Wolfe already has a death wish –now he also has to cope with his newfound responsibility for an orphaned teenage girl who just may be the key to the impending apocalypse. Kot gave an interesting interview to Entertainment Weekly in which he discussed Wolf and the numerous social questions and personal observations that inspired his writing. “The inspiration for Wolf was partly a desire for an exploration of the under-explored,” he said. Set in a Los Angeles where the bright sunshine mocks the dark fantasy-influenced atmosphere, this latest creator-owned title is sure to be among the most sophisticated character-study contributions to the genre. Although hamstrung by scheduling delays, one of 2013’s breakout hits was The Dream Merchant by Nathan Edmondson (Deathlok, The Activity) and talented Russian newcomer Konstantin Novosadov. Thankfully, Image Comics has finally collected the original series in an affordable new trade paperback for those who missed out the first time around. A sprawling metaphysical fantasy saga chronicling the adventures of a young man named Winslow, whose dreams hold the key to saving reality, the series possesses an ethereal energy that haunts the reader with lurid dreamscapes and monstrous creatures. With its distinctive visuals, refreshing premise, and brisk pacing, what could have been a dense undertaking for the reader instead feels like a light yet surefooted foray into the fantastic. If you’re looking for a great way to spend a lazy summer afternoon, this is the book for you! 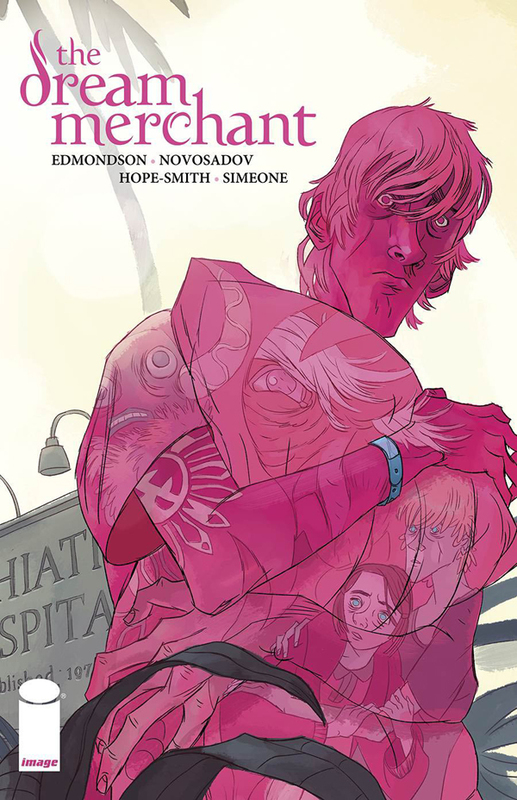 Nathan Edmundson (W), Konstantin Novosadov (A) • Image Comics, $15.99. Seven publishers and 75 years down the line from its debut issue, the venerable Walt Disney’s Comics and Stories returns this week after a four-year break, as part of IDW’s new Disney line-up of books. While Mickey Mouse, Donald Duck and Uncle Scrooge fell victim to the inevitable new #1s when they were relaunched (though they do retain both numbering sequences on the covers) WDC&S makes its triumphant return with its 721st issue! The IDW Disney books have been great fun so far, with a genuine all-ages pull that appeals to young readers and nostalgic traditionalist adults alike. 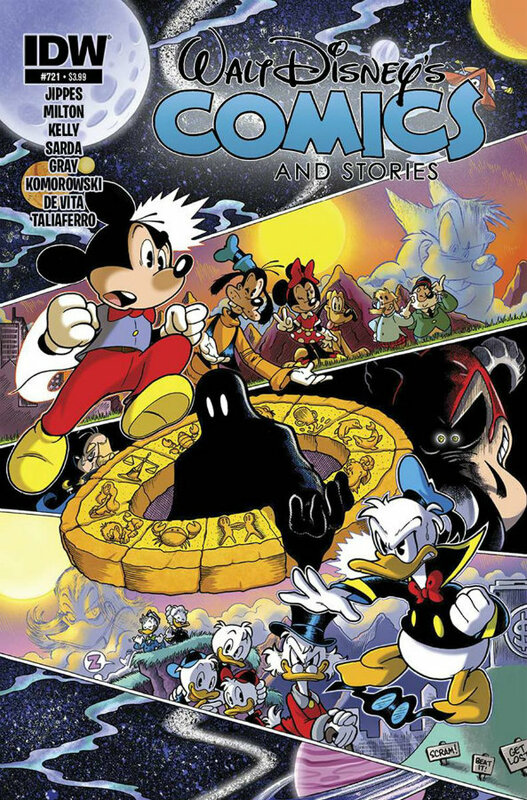 Walt Disney’s Comics and Stories #721 begins a 12-part continuing epic, ‘The Search for the Zodiac Stone’, that will involve Mickey, Donald, Scrooge McDuck, Goofy and the Phantom Blot in the hunt for a mysterious mystic treasure.